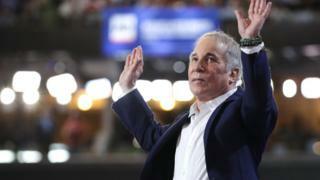 Coming up in Music News LIVE... A massive final UK and Ireland tour announcement from Paul Simon and Justin Timberlake has tour news of his own too, after his Prince-inspired Super Bowl set. But what did people make of his performance? Dua Lipa makes her SNL debut and the Spice Girls look to the future, while it's the end of the line for Lady Gaga - for now at least.